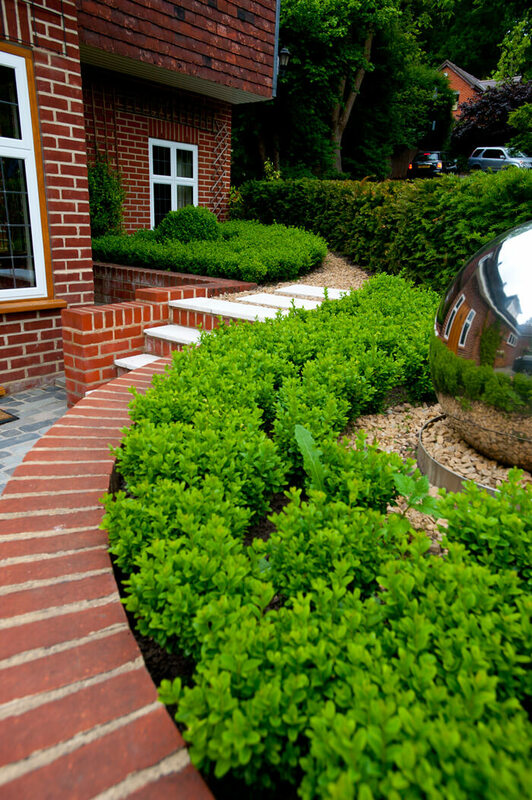 Every gardener has his or her own style, but the best designs, in my opinion, not only reveal the essence of the people who planned them, but also reflect the inner look of your home. 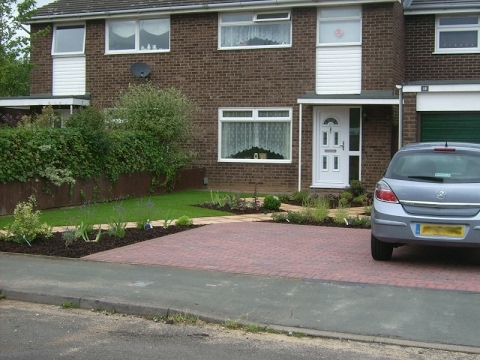 And if it is true that our houses represent ourselves, then front garden are the faces we show to the society. 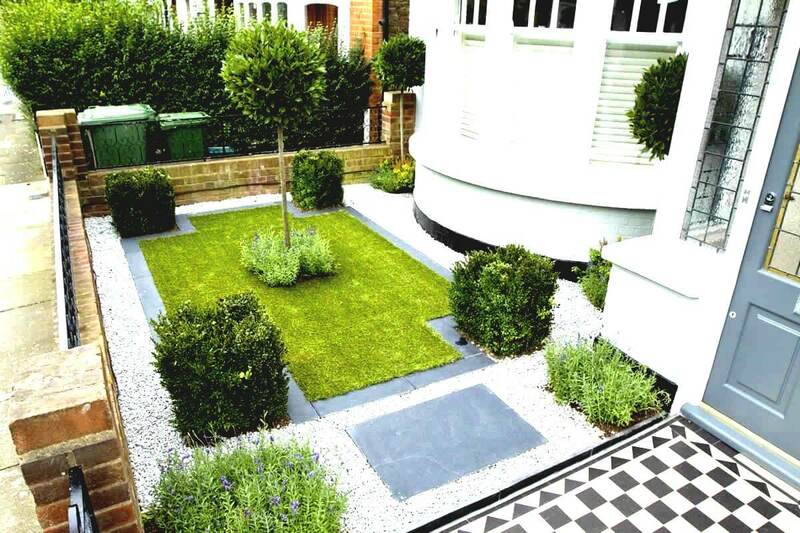 Front gardens perfectly capture the personality of the home owner. 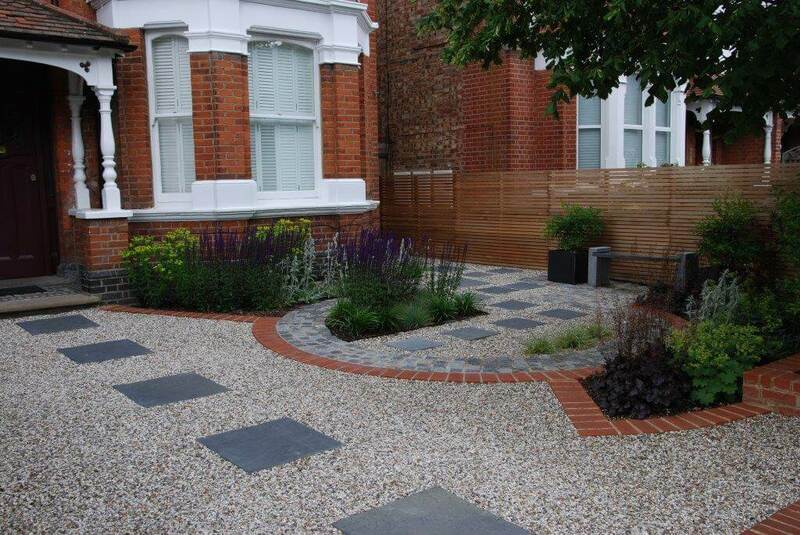 And since human beings have an infinite variety of personalities, front garden designs vary from home to home. 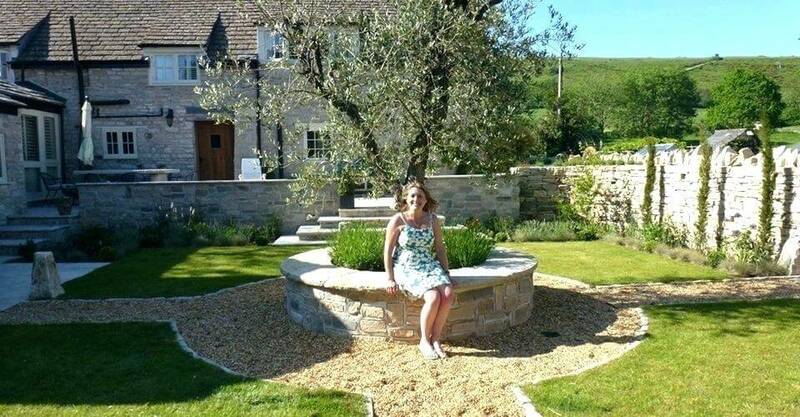 As such it is very important that your garden displays the appropriate appeal. 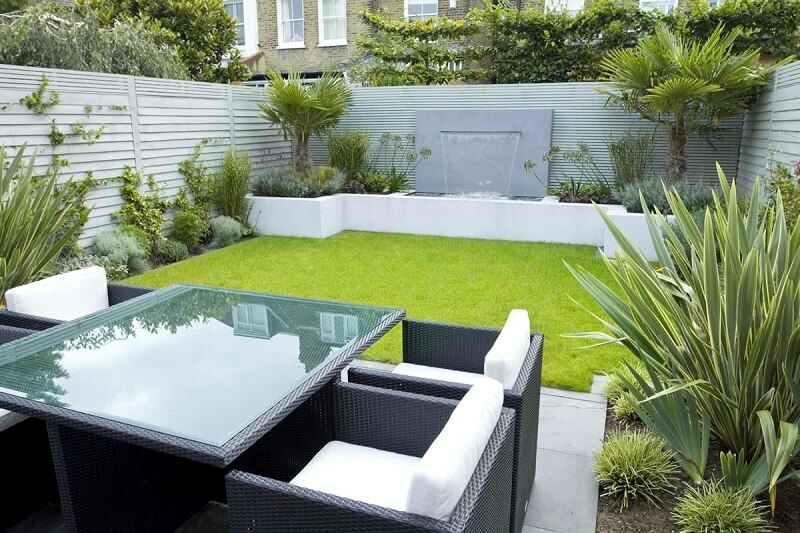 A few carefully done, not necessarily expensive touches can make a big difference in transforming your garden into the haven you always dream of. 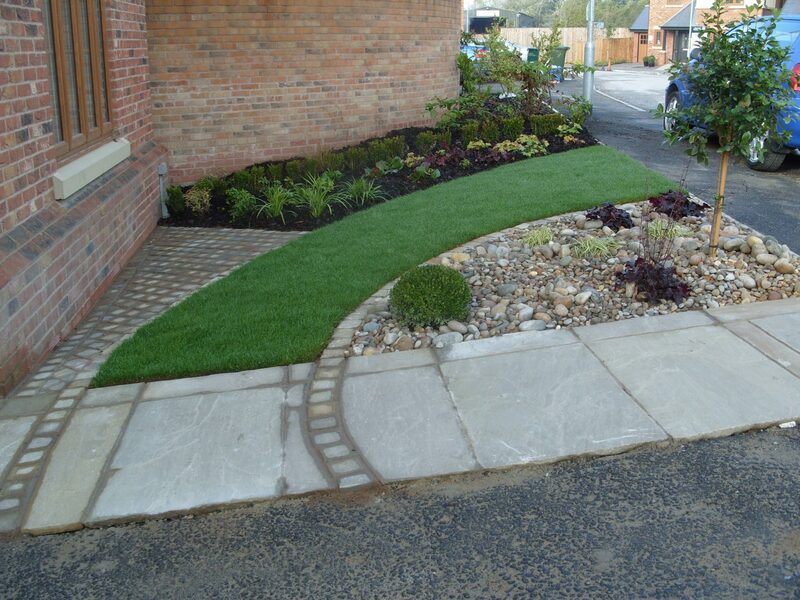 Below is a peek as to some of these front garden design ideas. 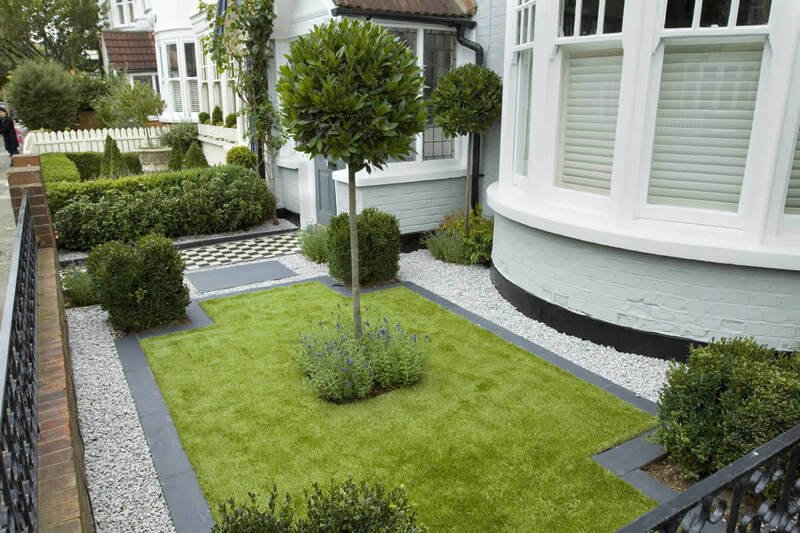 Having your garden separated by borders of plants bursting with blooms gives your garden an aspect of contrast that makes your front yard look more attractive. 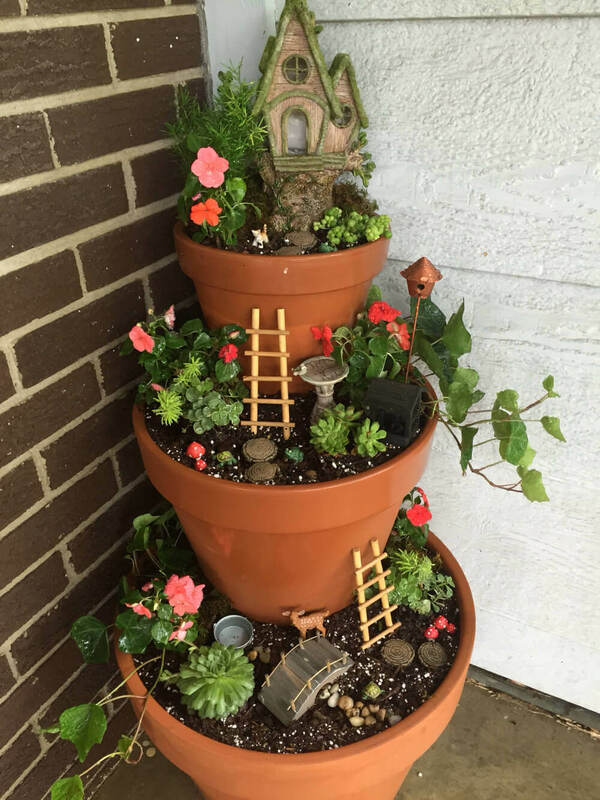 For those of us who are keen on experimenting and are blessed with a flair for creativity, there is no harm in trying different varieties of herbs and flowers and waiting in awe to see what look your garden attains. 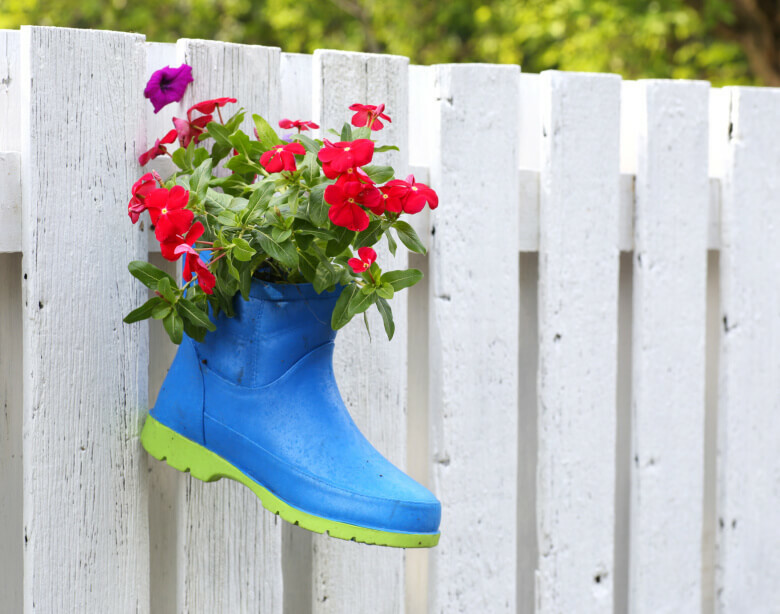 Not green-fingered or you are lacking in imagination? 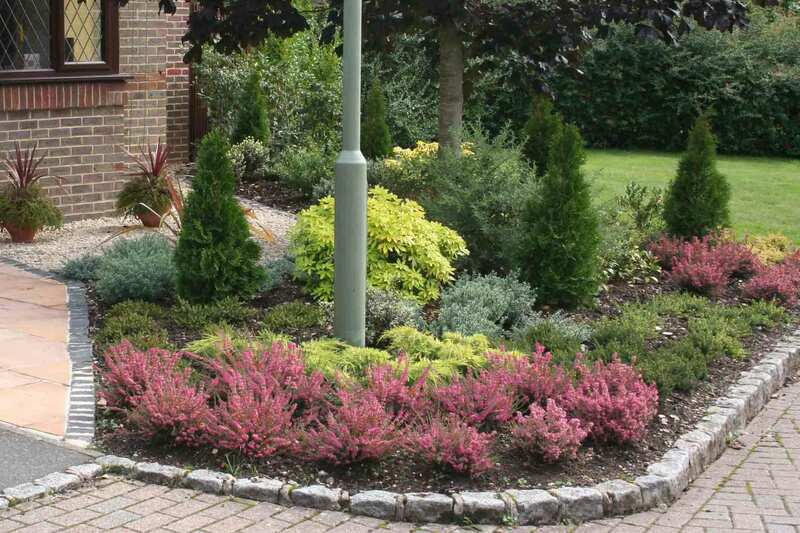 Not to worry, for there are ready-planned borders which come in a range of sizes and styles, including the Mixed, Sensory, Edible, Bee & Butterfly and Low Maintenance Border. 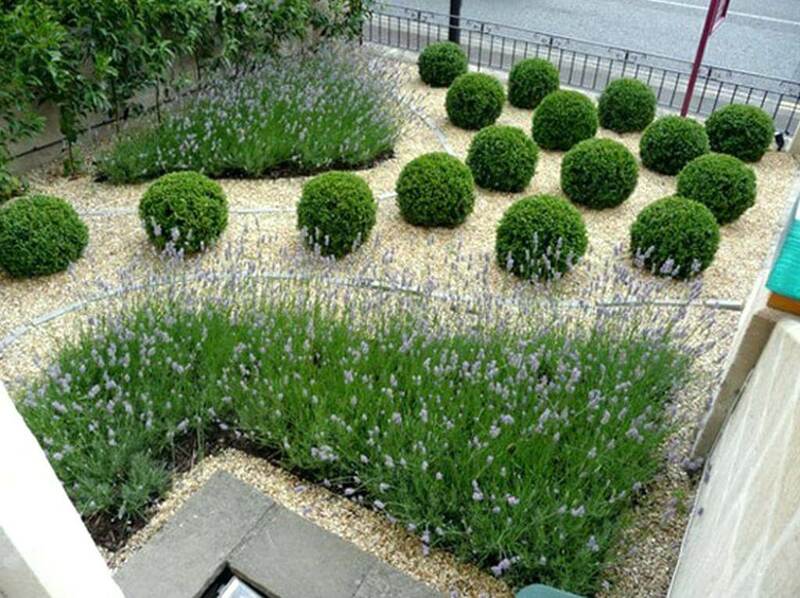 One might have implemented all the tricks in the book about front garden keeping, but a mass of unruly, paving crazy weeds will just ruin the whole garden’s perfect look. 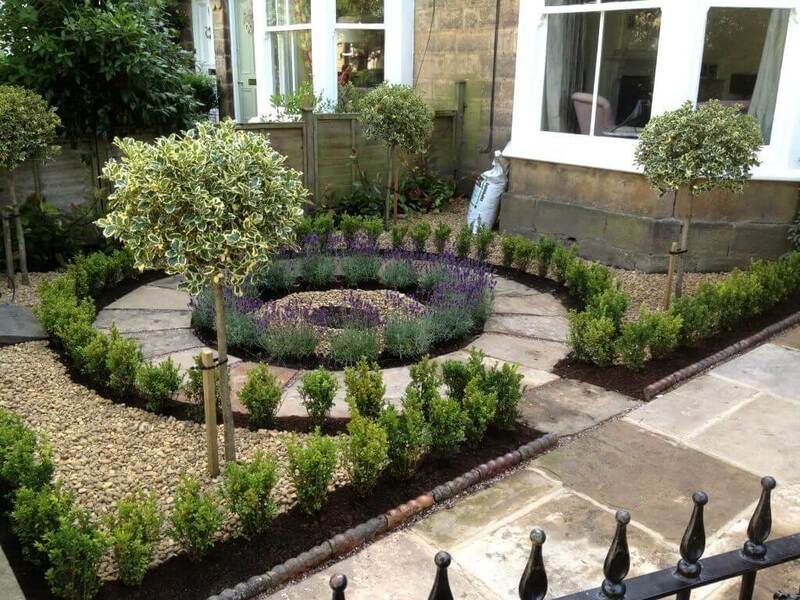 Just like with garden borders, this garden design idea provides you with two options. 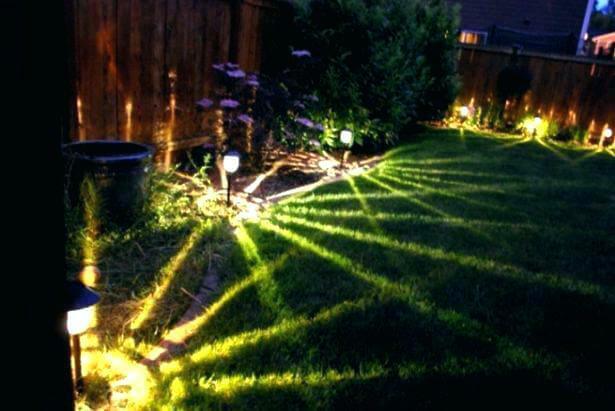 Firstly, even before venturing out for other options, the first drastic and most obvious step you need to take, gathers all your energies and pluck out the weeds. 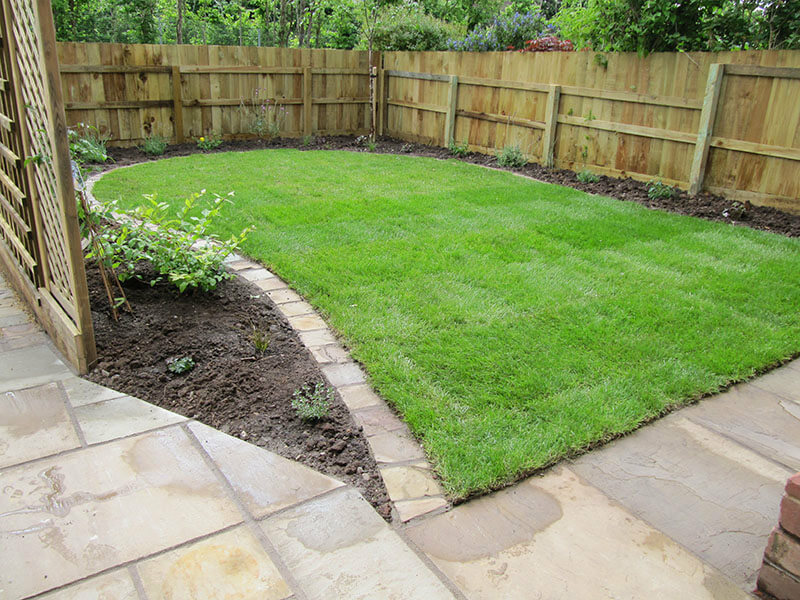 To prevent weeds from invading your garden again, you can consider either putting a weed barrier sheet, gravel and cover borders or garden paint stain. 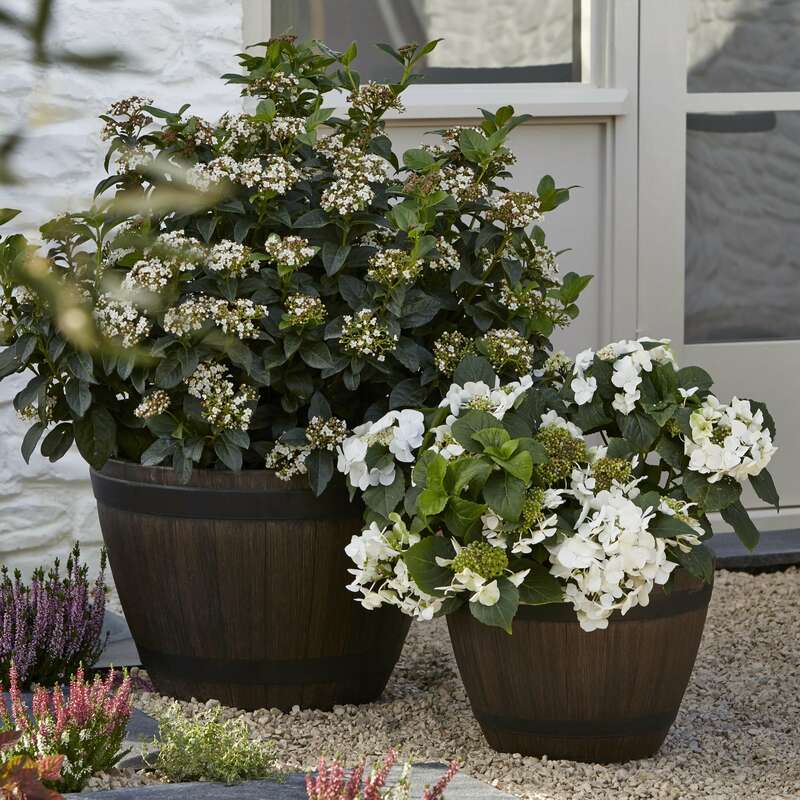 On top of the fact that potted plants can be easily moved around, large pots with different shapes, filled with bright flowers or landscaping plants, and strategically placed at different locations in your front garden will most certainly create a smart first impression. 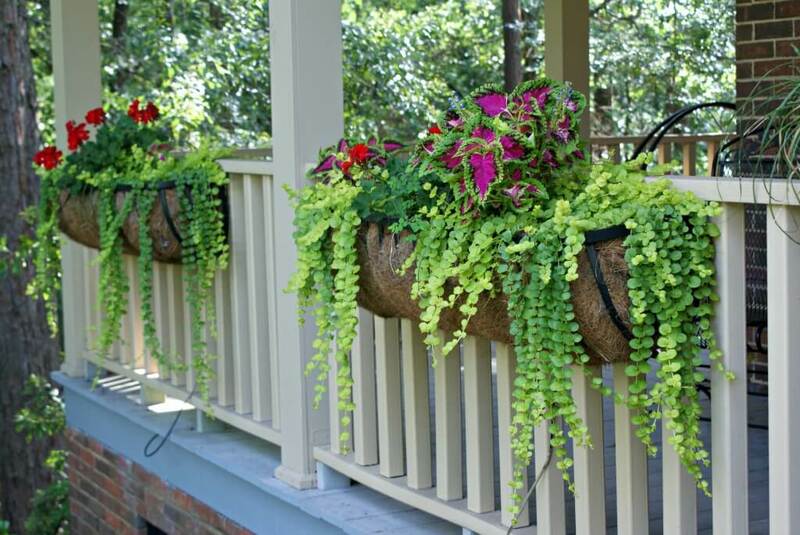 Of importance, when going for potted plants, choose low-maintenance, drought-resistant perennials. 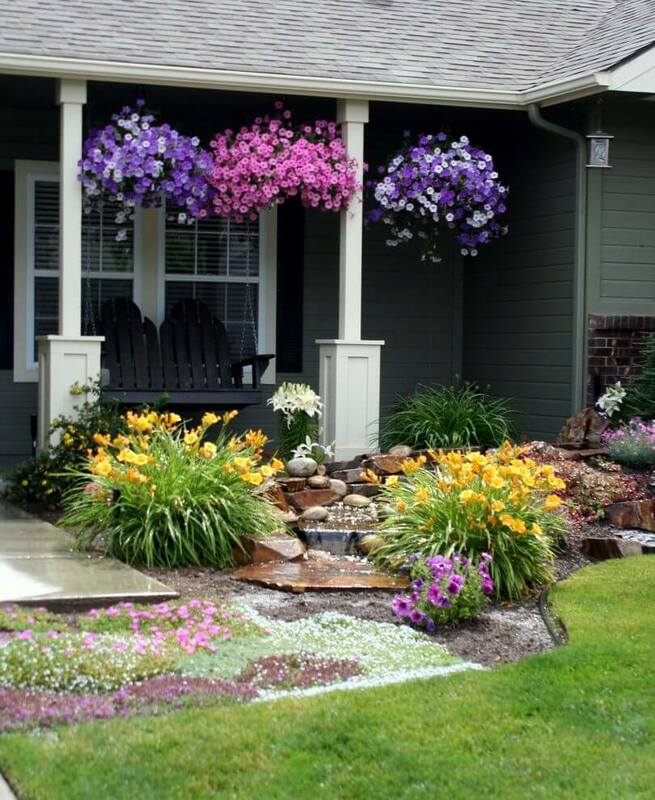 Additionally, the color of the pots should be closely related to the front door’s paint or the colors of your front path’s paving to give your garden a matching look. 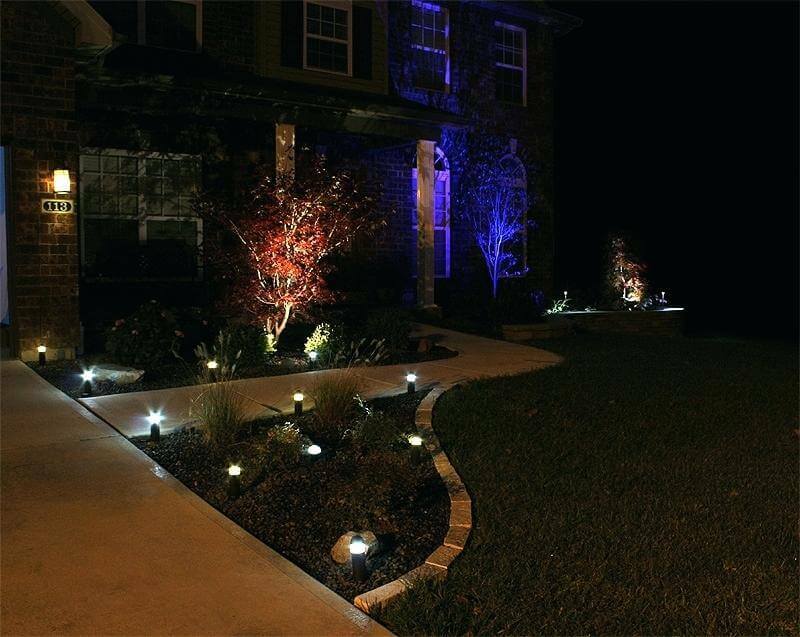 Most of us forget the fact that our front garden will not only be viewed during the day but also at night. 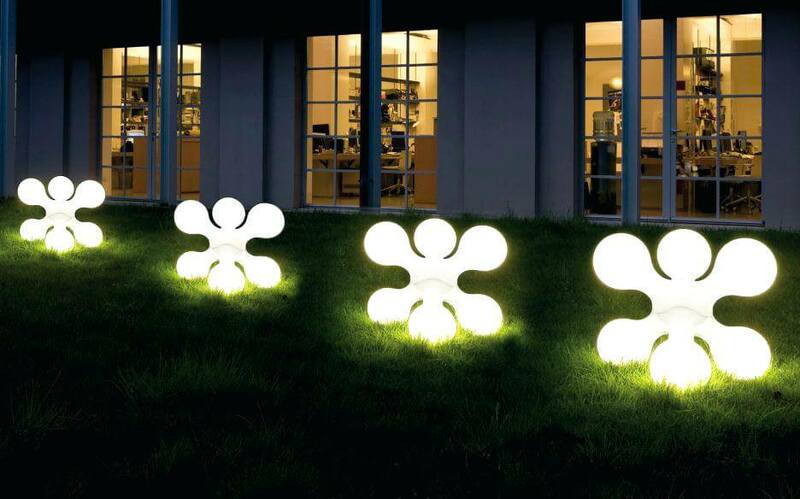 As such it is important that your garden looks good during night-time also. 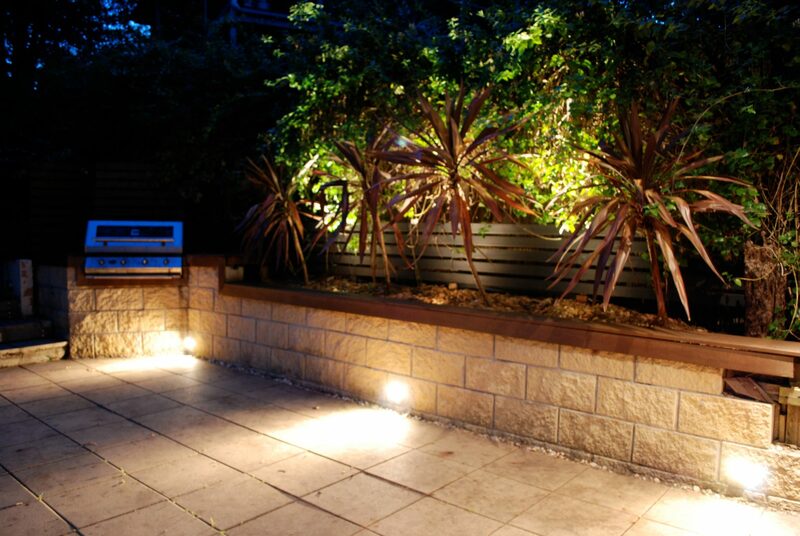 To ensure this happens it is good to invest in attractive and effective outdoor lighting, which will double up as deterrence to burglars and also illuminate your garden thus bringing it to life. 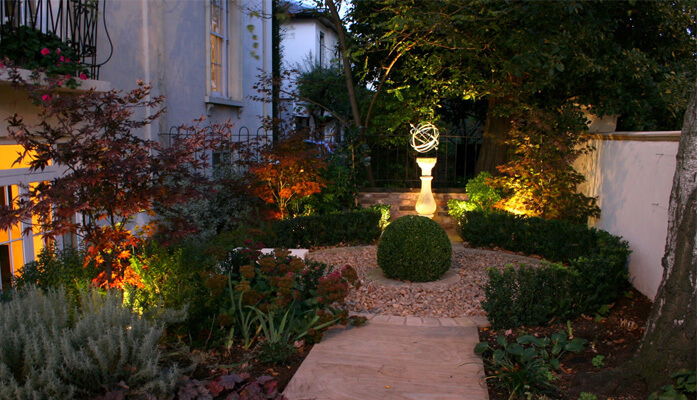 In choosing the perfect lighting for your garden, go for one that suits the age and style of your property. 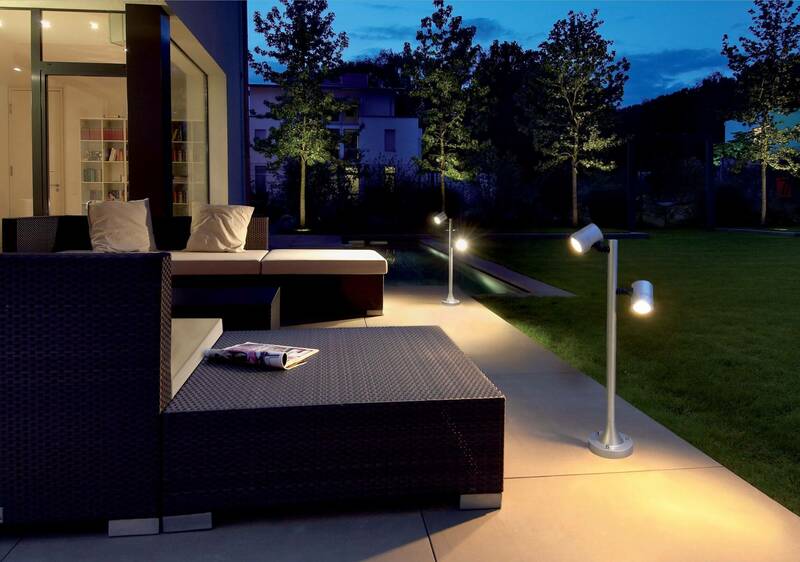 Modern lighting systems will serve contemporary homes better while period copies are well-suited for older houses. 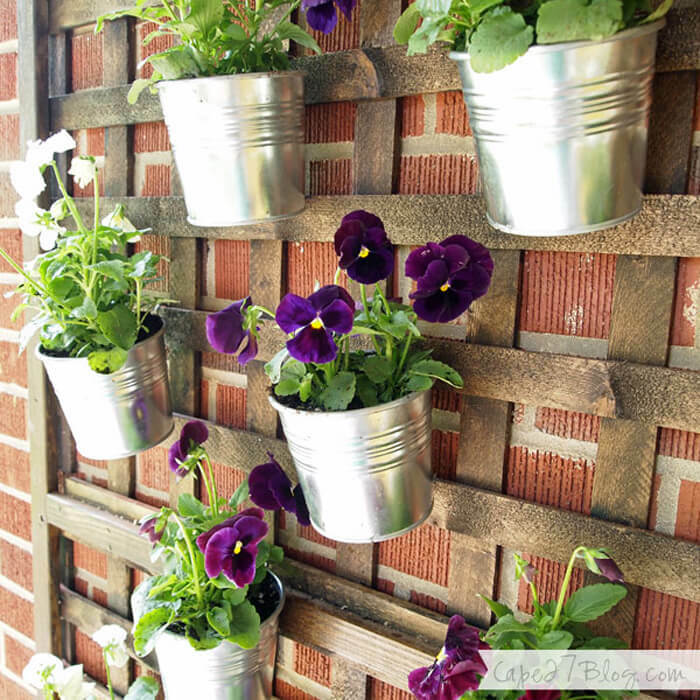 This design idea particularly suits those homes which feature badly-done or worn-out walls which give the impression of a house being ugly when left bare. 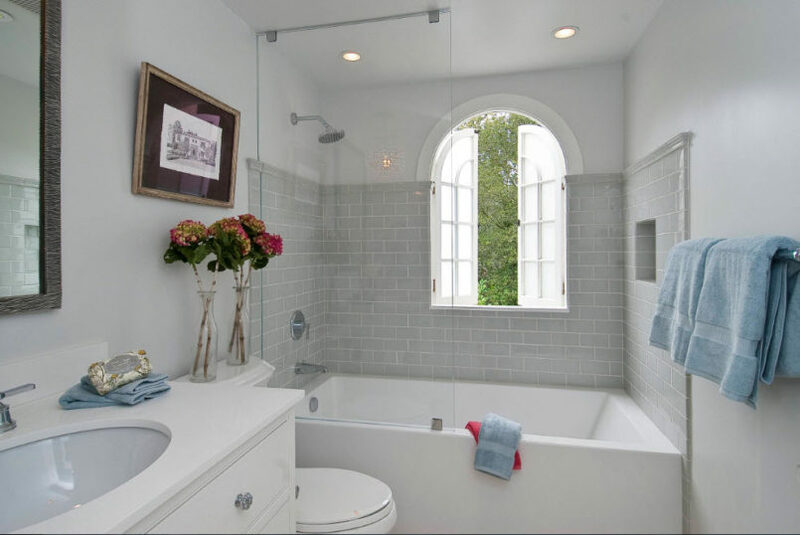 This doesn’t have to be the case, even for those short on cash to refurbish or make a complete overhaul of their house walls. 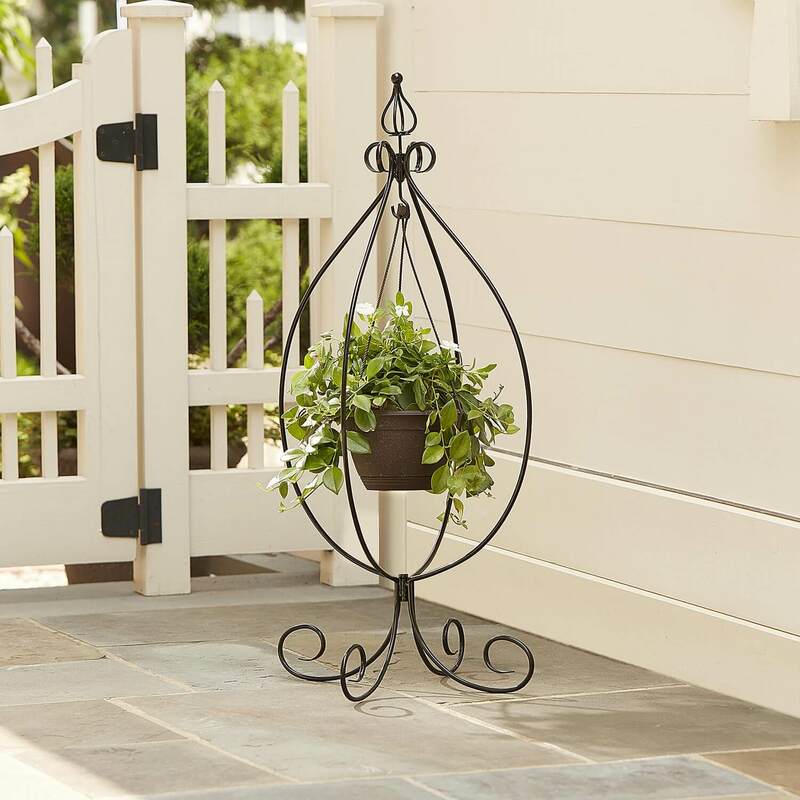 One quick and inexpensive way to address this problem is to grow any number of pretty, scented climbers such as trellis and ivy. 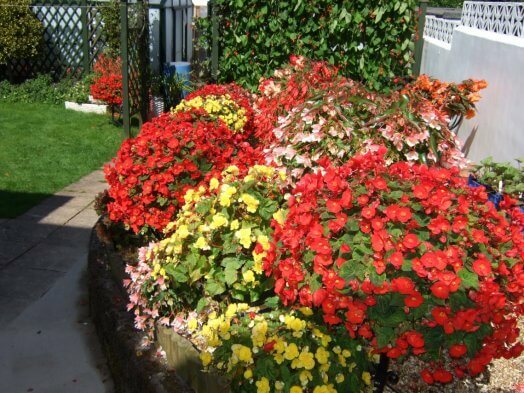 However, it is also wise to consider your plant choice because some plants such as the ivy are very invasive and they will tend to dominate your garden and in the process choke other plants. 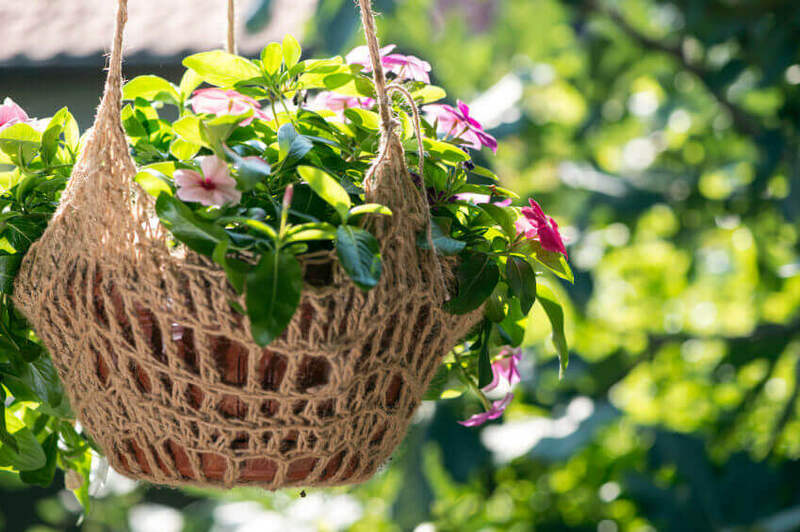 Instead, choose climbers such as jasmine and honey-suckle which are non-invasive. 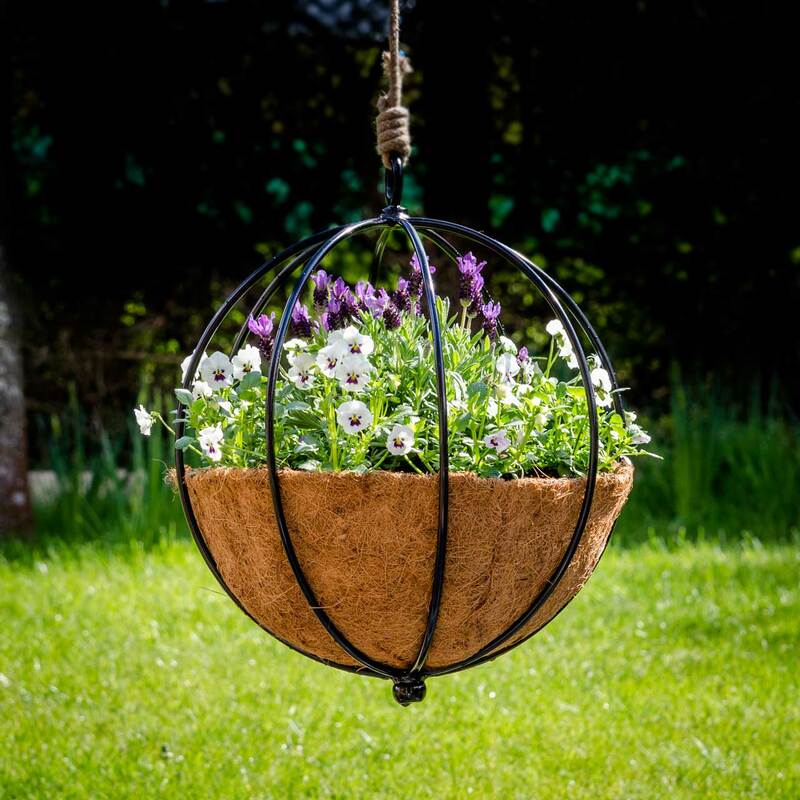 Plants such as geranium, dahlia, pansies, lobelia, marigold or bedding plants grown in baskets which are hanging from the roof beams and near your doorway, add an exotic look to your garden. 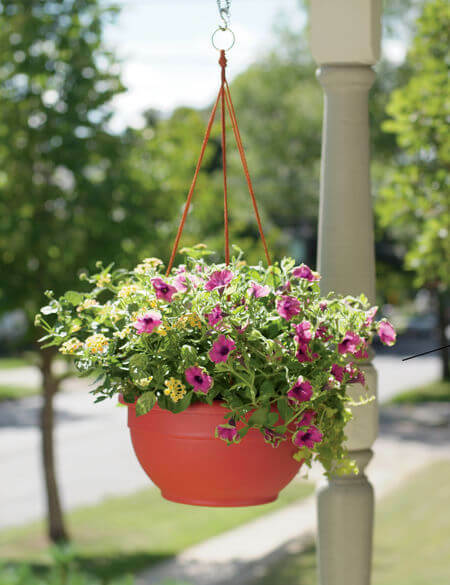 To add, colorful hanging baskets save on space which you can utilize to add on other plants. 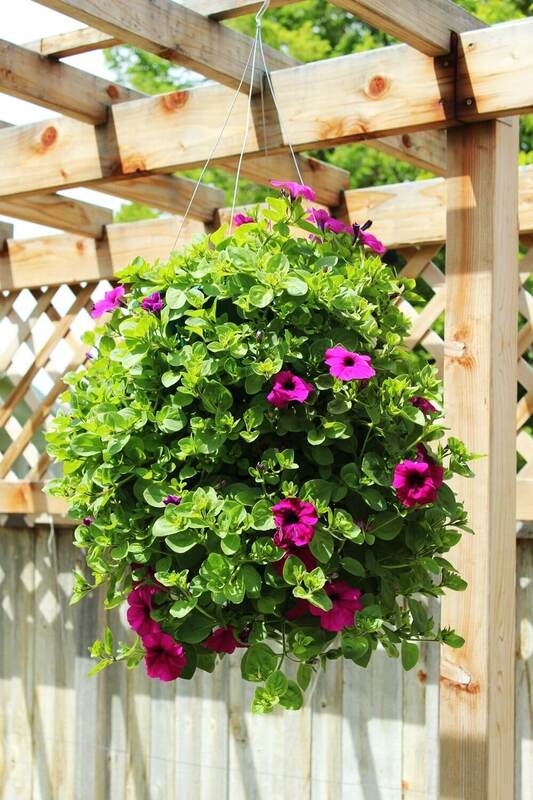 The plants can be grown on traditional hanging baskets or modern baskets which can be found at your nearest store. 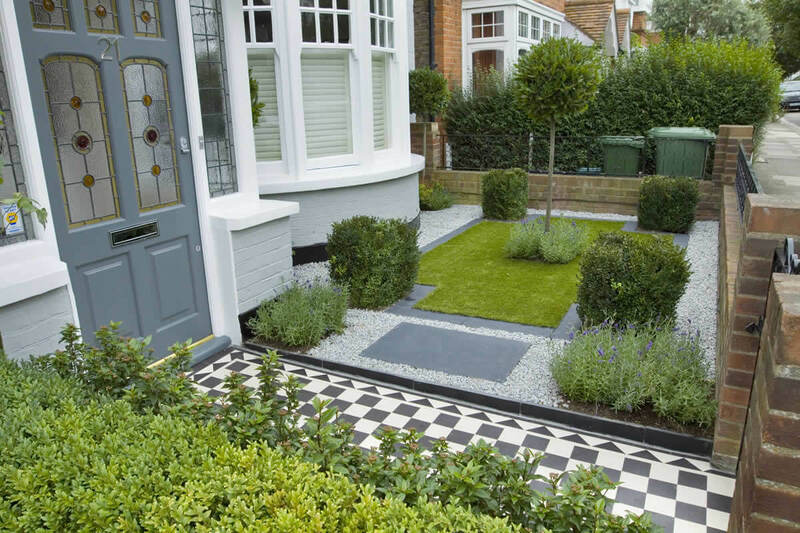 Landscaping your front garden isn’t wholly just about what type of plants you should use, redesigning the path that leads to your doorway can work miracles in transforming your front garden look. 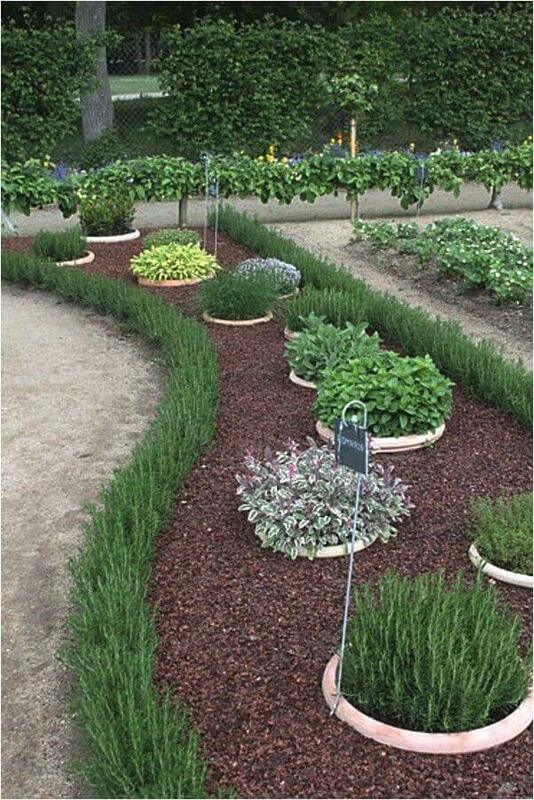 In designing your path, you are allowed to experiment as much as you wish. 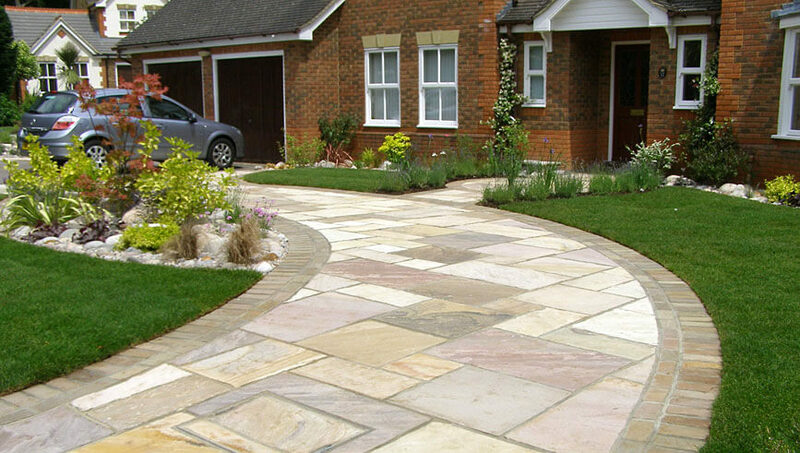 Here you can use tiles salvaged from construction sites or for those wishing to keep everything cool and modern, you can head to your nearest store where you will get a wide array of good-looking, ready-made paving. 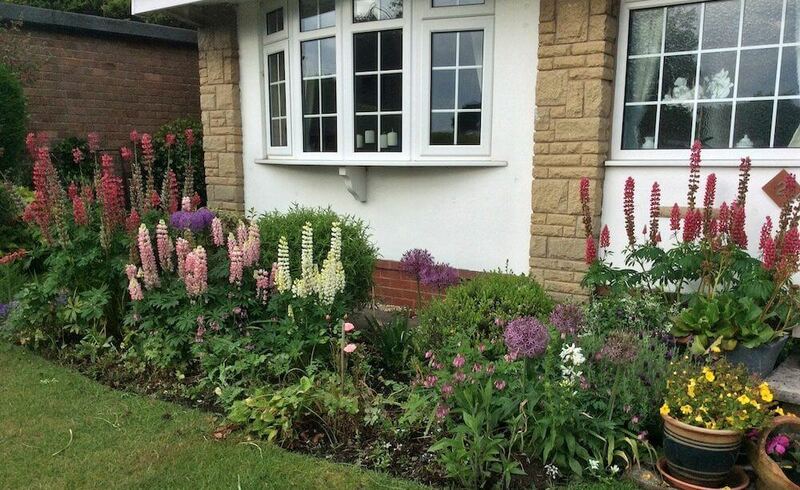 Your front door is an essential part of your front garden too and thus it is good to make sure that your front door is in a good shape by regularly painting it. 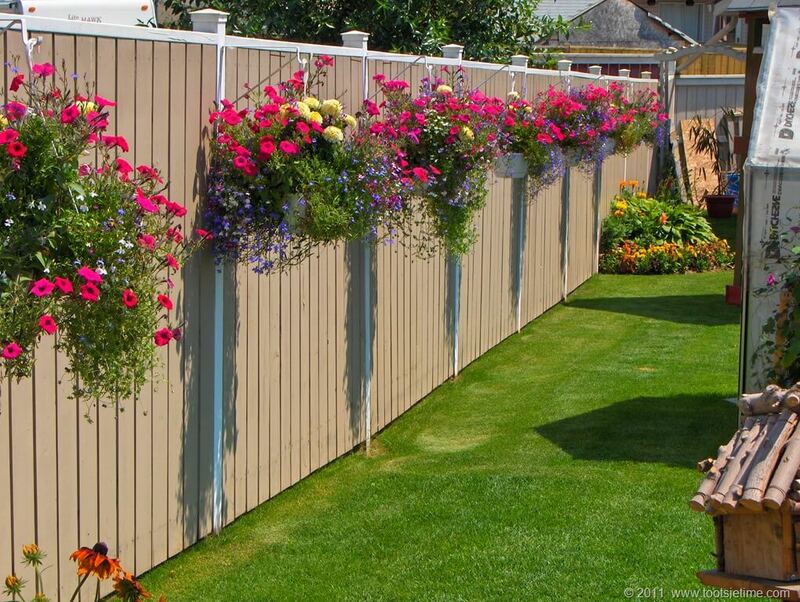 However, painting it is not all there is. 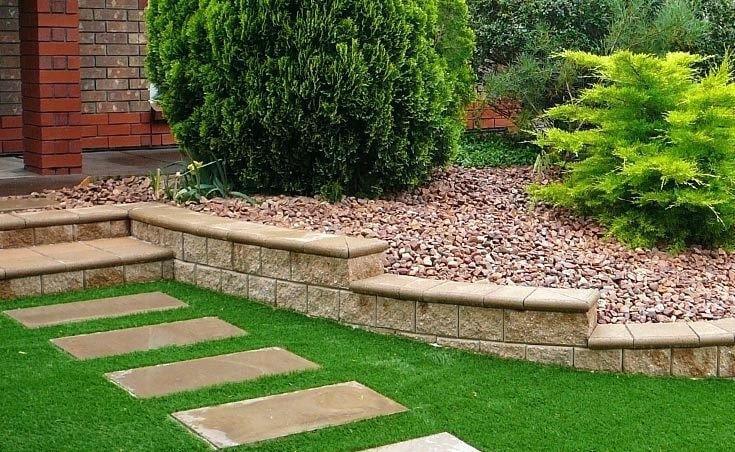 To avoid turning your door into being the laughing stock of the neighborhood, pick a color that matches your brickwork or paintwork. 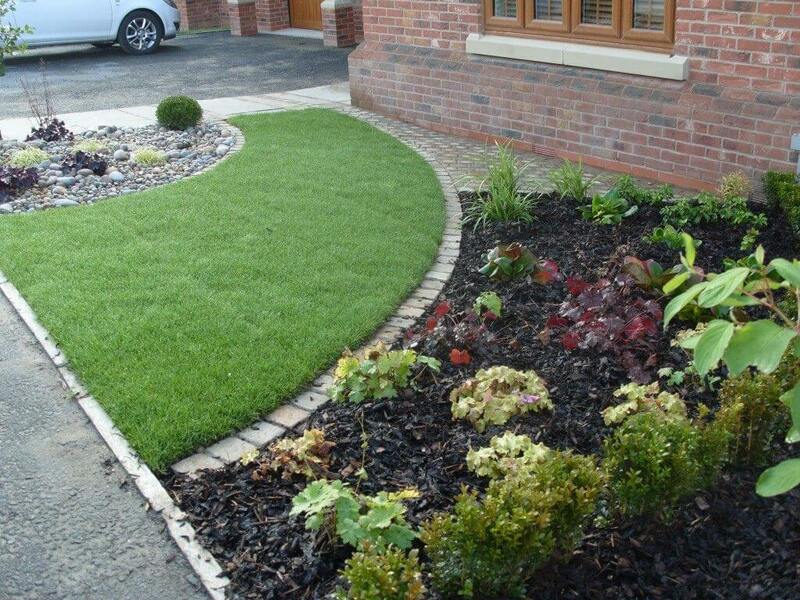 For areas with high traffic, select dark hues which will show dust less. 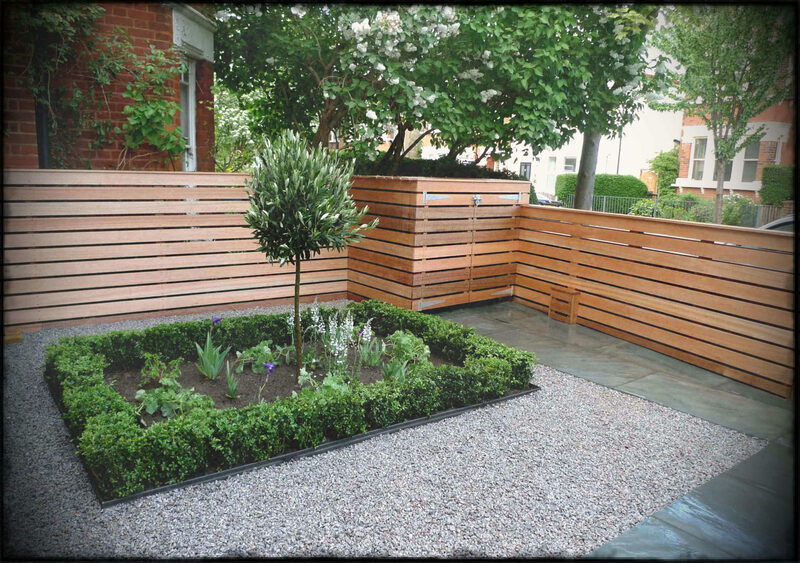 Also, try to be in tandem with the current trends, choose satin finishes for a more contemporary look as opposed to gloss. 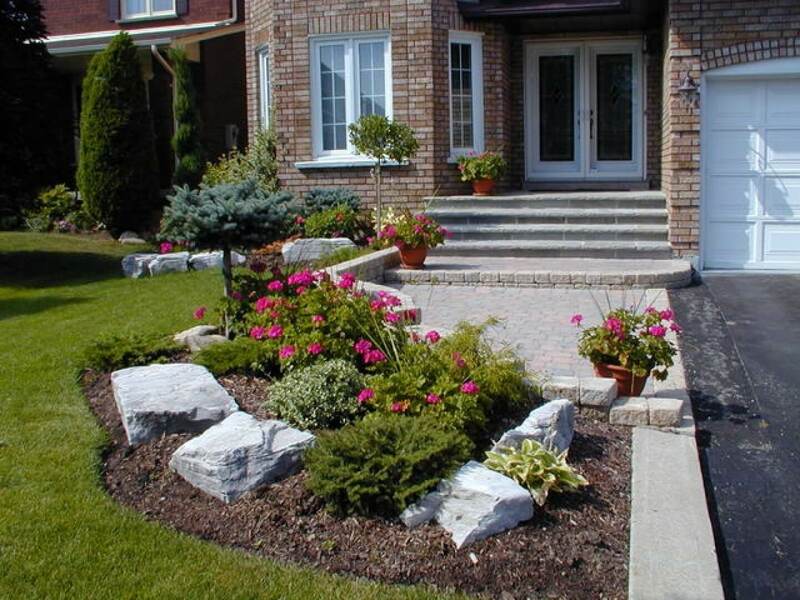 Careful positioning of each and every plant in your front yard garden is important. 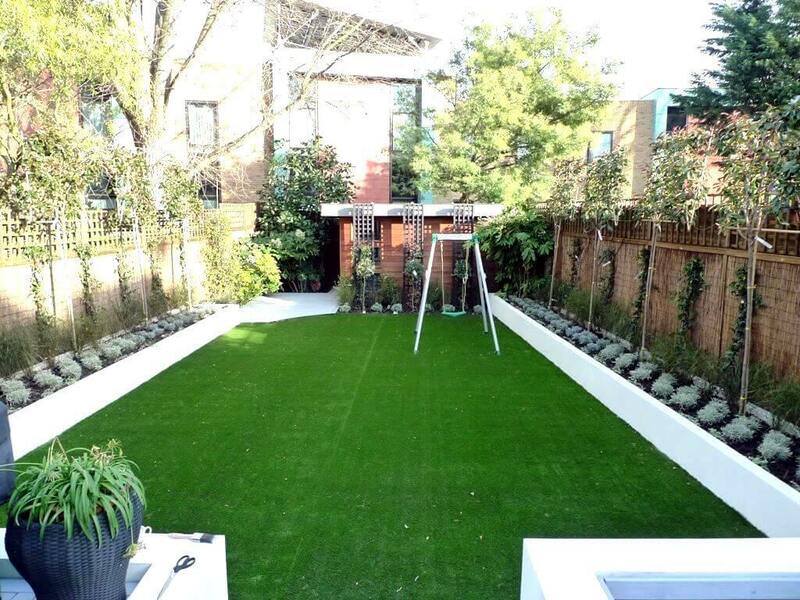 This is because, as opposed to the backyard gardens which are more informal, the front yard gardens says much about your home from first impressions. 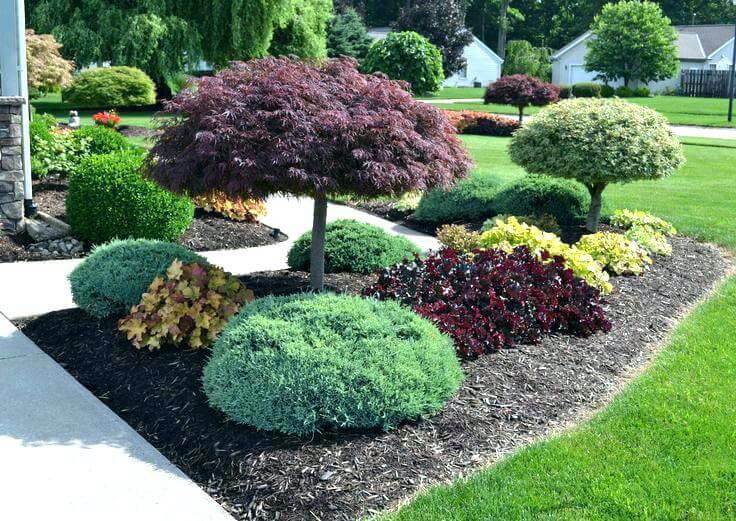 Positioning the plants in your garden not only creates a symmetry that is admirable but it also makes the uprooting of sapling easy, in case the need arises. 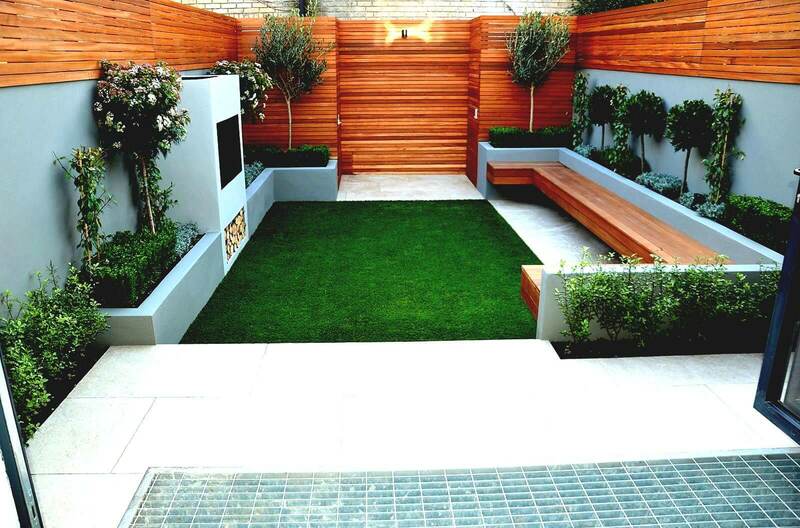 However, just like fashion in clothes, fashion in front gardens come and go, thus it is important to keep in touch with people and the internet to keep up with the current fad in front garden designs.